Liberty Health was established in 2008 and is a leading health insurance provider to over 400 000 lives in 27 countries across the African continent. Our depth of knowledge and expertise comes from providing comprehensive, flexible health care solutions to multinationals, corporates, SMEs, and individuals in South Africa and across Africa. The company’s interests span health insurance products and health administration technology systems and services. Liberty Health forms part of Liberty Holdings. Liberty is a leading financial services group on the African continent with a zaAAA long-term rating from Standard and Poor’s. Our clients benefit from our close alignment with Liberty, which is part of the Standard Bank Group, unlocking economies of scale and enhancing our innovation capabilities. Liberty offers a comprehensive range of long-term insurance products and services to meet the changing financial, investment and lifestyle risk needs of both the retail and corporate markets. Liberty’s Vision is to be the trusted leader in insurance and investments in Africa and in other chosen markets. We believe in putting our customers’ needs first, focussing on creating products and services that are relevant to their needs. To make a difference in people’s lives by making their financial freedom possible. This is our passion. 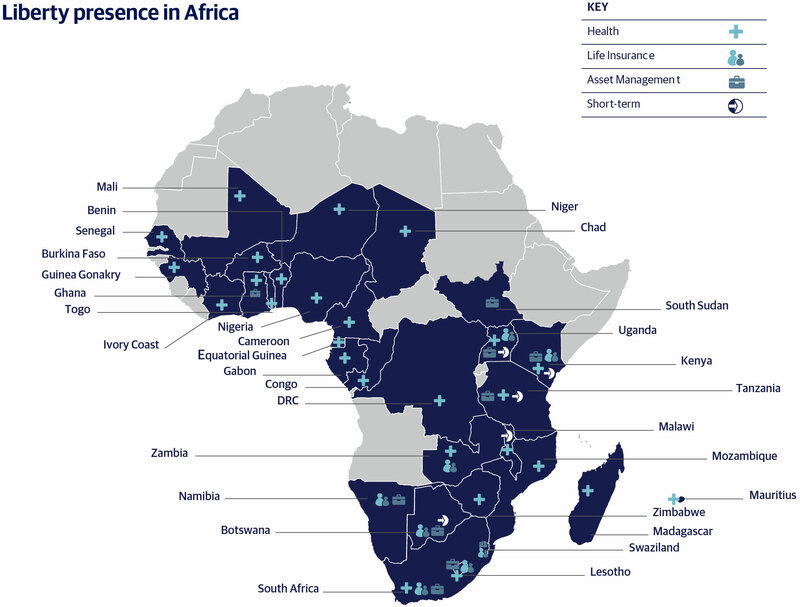 Liberty’s vision is to be the trusted leader in insurance and investment in Africa and our chosen markets.